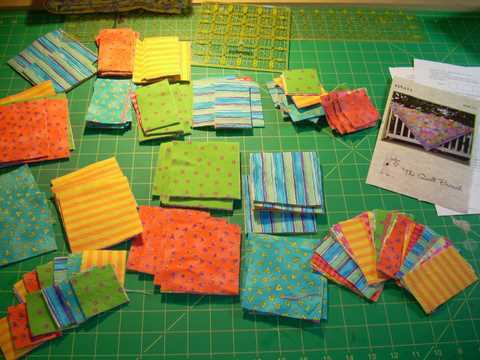 This is 20 fat quarters chopped up and ready to be put back together. I bought this 4 years ago at the urging of DD. 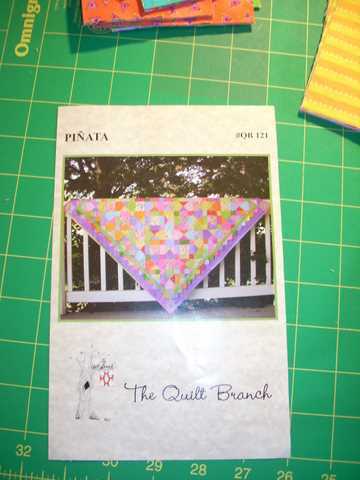 Since I’m at a winter lull, I thought the zingy colors would be cheerful to work on. The colors in the photo are horrid. I’ll try and get better color tomorrow. Here’s a closer look at the pattern.